How Does Airplay Work and What Devices Can Use It? AirPlay is a proprietary wireless technology developed by Apple for streaming content wirelessly between compatible devices that share a network. Those devices might be your MacBook streaming a document to an AirPlay-compatible printer, an iPhone streaming music to wireless speakers in your home, or your desktop Mac streaming an HD movie to your TV. AirPlay or AirPlay 2.0 is part of the operating systems that run all Mac computers and iOS mobile devices. As long as they are on the same network, any of these devices can stream content from one to another and to any AirPlay-compatible devices that are also on the network. How Can Music Be Streamed? For digital music, you can stream to your TV equipped with an Apple TV, share with other devices using an Airport Express, or listen with AirPlay-compatible speakers. With AirPlay 2, it's possible to stream digital music to several rooms equipped with AirPlay-compatible speakers at the same time or directly to headphones available from most major headphone manufacturers. AirPlay Sender Hardware: Apple portable devices running the iOS operating system — iPhone, iPad, and iPod Touch — are senders. They must be running iOS version 4.2 or higher. A Mac or Windows computer running iTunes can also be set up as an AirPlay sender device. The Apple TV 4K and Apple TV 4th generations can stream as well. AirPlay Receiver Hardware: Apple TV (all models except the first generation), Airport Express, and AirPlay-compatible speakers are receivers. Most home printers are AirPlay compatible. With AirPlay 2, stream to Apple's HomePod speaker and take a call or play a game without interrupting the music. Yes, it can. For example, if you use Apple TV to stream music, videos, and photos from your iOS device to your HDTV, then metadata such as song title, artist, and genre can be displayed. Album art can also be transmitted and displayed using AirPlay. The JPEG image format is used to send cover art. What Audio Format Is Used? To stream digital music over Wi-Fi, AirPlay uses the Real Time Streaming Protocol (RTSP). The Apple Lossless Audio Codec is used over the UDP transport layer protocol to stream two audio channels at 44100 Hertz. Audio data is scrambled by the AirPlay server device, which uses a private key-based encryption system. 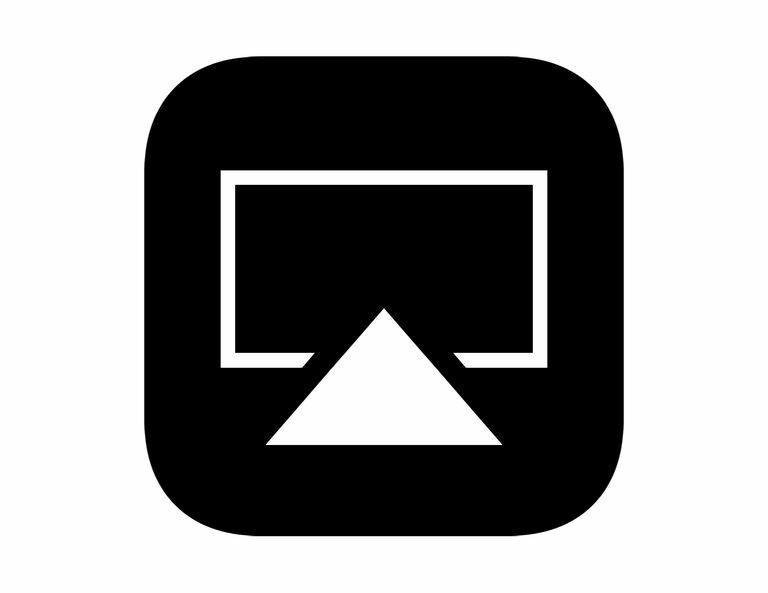 You can use AirPlay to mirror your Mac display to an Apple TV-equipped projector or TV, which is handy when you are giving presentations or training groups of employees. When both devices are turned on and connected to the same Wi-Fi network, click on the AirPlay status menu in the menu bar of the Mac and select the projector or television from the drop-down menu.